Manchester to London. Cycling. In a Day. 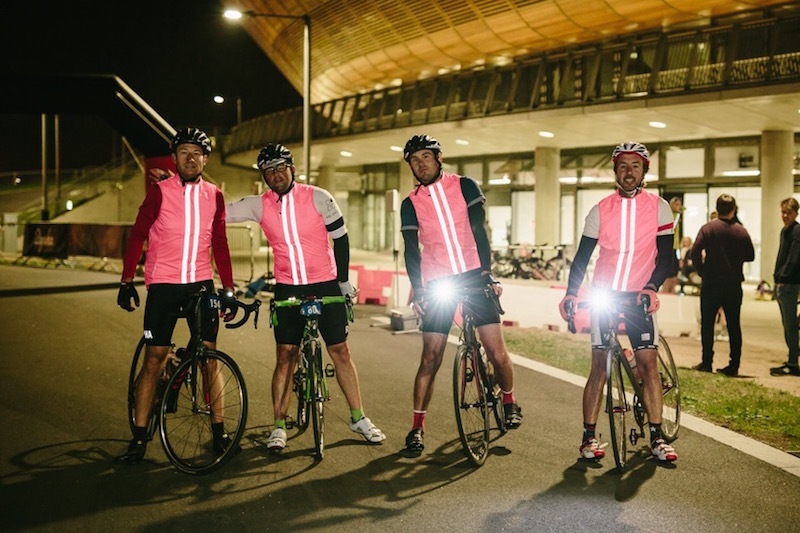 On Sunday 6th September 2015, as the dawn was about to break, I set off from the Manchester Velodrome, the heart of cycling in the North, with three friends - and then tested our friendship. For our aim was to travel the backbone of England before finishing at the new home of cycling in the South, the Olympic Velodrome. To give some perspective – it is 220 miles from one velodrome to the other. And sat at the beginning of this epic task is the Peak District (clue is in the title) – which Simon Mottram, founder of Rapha (the iconic cycling / clothing brand and sponsor of Team Sky), explained was very apt as living with autism is hard – and by taking part in the Rapha Manchester – London ride, we would be raising money to support Ambitious about Autism. In fact the speeches made by Simon Mottram and the team from Ambitious about Autism were deeply moving and inspiring. We were going to suffer for a brilliant cause. The charity is particularly close to Simon’s heart as he has a son, Oscar, with autism and has been helped enormously by Ambitious about Autism - the charity behind TreeHouse, the school that Oscar has attended since the age of five. So why is our support so vital? The money we raised will help to make a huge difference to the lives of the 1 in 100 children and young people with autism in the UK. That is around 100,000 children, with around half a million family members directly affected by the condition. And it is a small scale charity – so our efforts would make a measurable difference – which makes it even more inspiring. 15 hrs and 40 minutes of pain. I took up cycling less than a year ago – this was truly testing my stamina and ability to its very limit. London is 220 miles from Manchester. And it’s not flat. By any means. The Peak District is quite steep. The clue was in the title. I didn’t fall off. A good result bearing in mind the two fractured collar bones suffered during training. It hurts. Seriously. Someone put a hill in 30 miles from home which very nearly reduced me to tears. 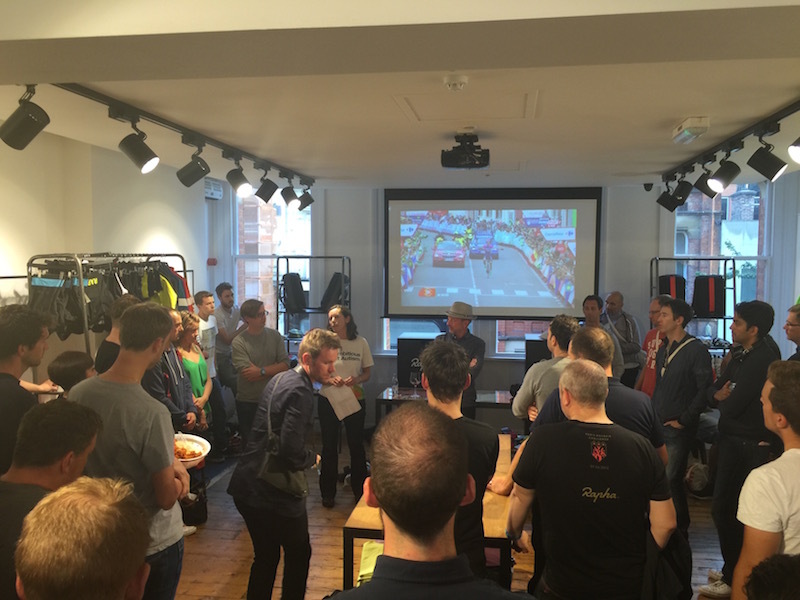 A genuinely incredible charity – inspiring speeches beforehand. This really is an amazing charity and brilliant cause. So far the amazing people I know have donated £5,000 (and counting) – holy mackerel. THANK YOU. I’d do it again. £5,000 for an amazing charity for 15hrs of pain? Any day. Do the ride yourself – seriously – it is incredible. And brilliantly organised and supported. Wednesday – felt like I’d been run over by a truck. Two weeks later - I still couldn't face looking at my bike. One month later - raring to go and planning the next big challenge for charity! All in all an amazing, memorable day – I recommend it to all. The big question now is – what on earth are we going to do next year to raise money for Ambitious about Autism?